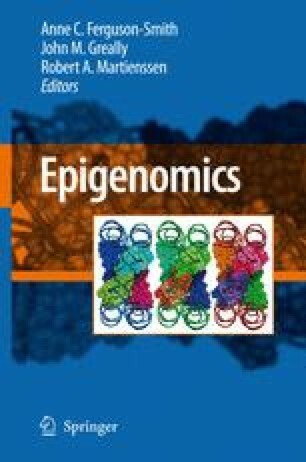 Epigenetic modifications of the DNA and histones serve as heritable marks that can influence gene expression states. Genetic and genomic approaches are being used in the model plant Arabidopsis thaliana to understand how plants use epigenetic information. Tiling microarrays and high throughput sequencing have mapped the distribution of DNA methylation, histone methylation and small RNAs at a genome-wide scale. This has refined our models for genome organization and gene regulation in A.thaliana and revealed a number of unexpected patterns, such as DNA methylation within the body of genes. Integrating these large datasets and understanding the relationships between these marks will be an exciting challenge for the future.